LendingOne helps real estate investors to finance their fix and flip and rental properties portfolios. It offers an online application that streamlines the process of borrowing and receiving funds for real estate investment businesses. In this article, we cover LendingOne reviews and pricing. Ready to get started? Apply now. As of the date this article was written (March 25, 2019), there are no available LendingOne reviews online. If you are a past or current LendingOne customer, leave a review to help others who are deciding whether or not to use the company. LendingOne pricing is based on rates that range from 3.75% to 13.9% and can be funded in as fast as 10 days. Rates are based on credit score and LTV. Loan amount ranges from $75,000 to $15 million with origination fees that range from 1.75% to 3%. Repayment ranges from 12-month to 30-year terms. *Contact LendingOne for more information. Ready to get started with Lending One? Apply now. 5 Best Real Estate Portfolio Lenders 2019: Portfolio lending offers flexible borrower qualifications and fast closings so investors can compete with cash buyers. We reviewed the most popular national portfolio lenders and chose the top five considering rate, terms, property types, and qualifications. 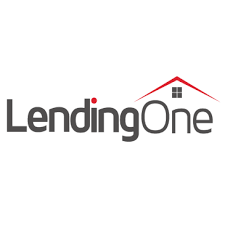 What are the minimum qualifications to get a loan with LendingOne? LendingOne requires portfolio loan qualifications including credit score of 600 or higher for short-term loans or 620 or higher for long-term loans, six or more months of cash reserves, and three or more months of stable occupancy. How quick can I get funded? LendingOne offers 10-day funding time for 1 to 4 units of Fix and Flip, 3 to 4 weeks funding time on long-term loans, and 30 days on its ground-up construction. Have you read these LendingOne reviews and are still not sure if it’s the right fit for you? Read our reviews of all top lenders or check out one of these three LendingOne competitors.